Home Crime and Court Cops Arrest Two Taxi Operators with Over 1500 Tickets Combined! 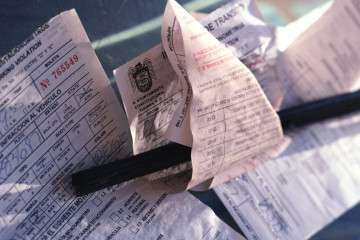 Cops Arrest Two Taxi Operators with Over 1500 Tickets Combined! The Jamaica Constabulary Force (JCF) says it’s arrested two taxi operators today both of whom have more than 700 traffic tickets outstanding each. The arrests were made by the Public Safety and Traffic Enforcement Branch, PSTEB. In a statement on twitter PSTEB, says one operator had 772 traffic tickets outstanding. The other operator had 751. PSTEB says both men will face the courts tomorrow.